Managing epileptic and other high-needs patients across a broad rural area brings significant challenges, but Dr. Michael Stitzer along with other medical professionals of the Winslow Indian Health Care Center (WIHCC) have found a valuable resource in the ability to track these patients and access critical patient data through Health Current, Arizona’s Health Information Exchange (HIE). Dr. Stitzer and more than 400 other specialists and medical professionals serve an active patient population of 17,000 and a geographic area that includes more than 60,000 Native Americans in northern Arizona. 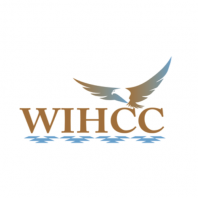 Located 60 miles east of Flagstaff in Winslow, WIHCC, a Tribal Contract or Compact Health Center, is an outpatient facility operated under the federal Indian Self-Determination Act that helps provide medical care for Native Americans. The facility offers more services than many other facilities of its size, including behavioral health, dental services, women’s health, neurology, cardiology, optometry, pharmacy, physical therapy, diabetes treatment and much more. They have two satellite facilities on the Navajo Reservation with over 45 medical staff. As the Medical Informaticist for the clinic, Peter Vermilyea, PharmD., CAPT., U.S. Public Health Service, said that they initially were connected to the HIE in December 2016 to gain access to the HIE portal. More recently, Vermilyea initiated a project to track their high-needs patients and he asked the medical staff to provide him lists of their sickest or high-needs patients. When he provided these lists to Health Current and they began to receive Alerts, he says that they began to see a big change. For Dr. Stitzer, these regular Alerts help him track and manage his patients. One example is that he now sees results for seizure medicine levels more easily with patients that have had seizures and are taken to an emergency facility. He also says that information from the HIE has improved care planning, productivity and patient communications. One recent case involved a patient with a rare genetic disease impacting several aspects of his life in addition to his epilepsy. Though lab work had been done years earlier to confirm the genetic disease, neither the patient nor his wife were familiar with the diagnosis. With this information, Dr. Stitzer was able to better educate his patient and create a more complete care plan. Prior to his first visit with another patient, Dr. Stitzer reviewed records through the HIE portal to find that the patient had a history of treatment for stroke, with treatment in the St. Joseph’s Medical Center emergency department and the Flagstaff Medical Center rehab facility. This information ensured a much more useful and productive first visit. 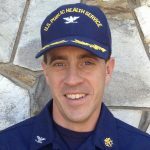 Captain Vermilyea received the Health IT Leader award at the 2018 Health Current Summit & Trade Show. Read more here.